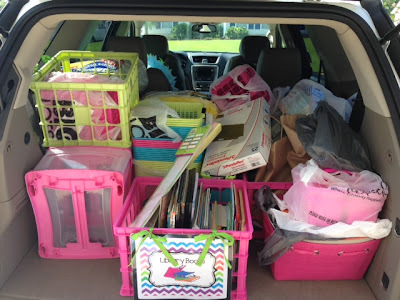 Today I thought I would share how I handle paperwork and welcoming new students at the beginning of the year or throughout the year. How many times have you printed your class roster on pretty paper, assigned student numbers, or wrote your roster in your grade book (if you keep a paper one, that is) and then all of a sudden, a new student arrives and he/she has a last name that starts with "B" or a letter at the beginning of the alphabet and it messes everything up?! I can't tell you how many times that has happened to me! Do you put them in the correct order and change every other students number, cubby, etc? Or do you stick them at the end? Here's a couple ways I handle getting new students. 1. Wait a week after school starts to write student names in your grade book. While we have an online grade book, I still keep a paper one as well. Just call me old school! Usually if a new student is coming to your school at the beginning of the year, they've registered and are attending by the first week of school. 2. Keep an editable version of your class roster. I do plan on printing mine before school starts, I can easily edit it and re-print. 3. 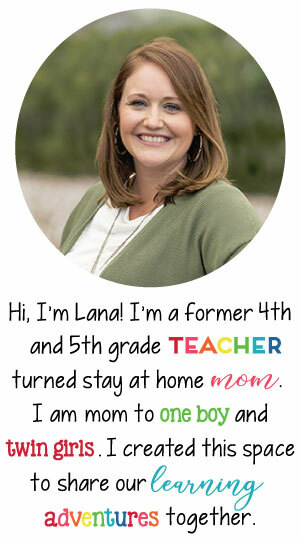 Determine if it's worth it to put the new student in the correct order. Last year I had a student come mid-year and her name ended with a "J", right in the middle of the alphabet. I chose not to mess up student numbers, cubbies, etc at that point and I assigned her the next number, which was 21. 4. 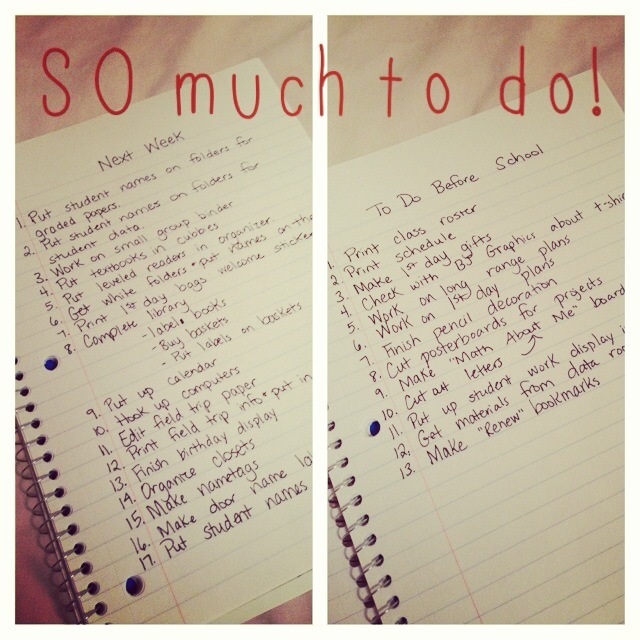 Keep an extra desk in your room or know where extra's are. 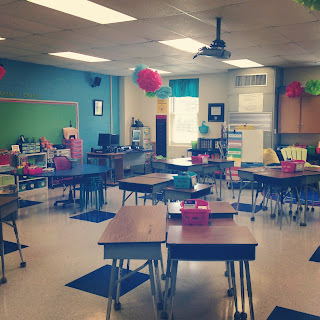 One year I had a student come on the first day of school and I didn't even have an extra desk! Now, I have extra desks that are my supply desks at each group. In a pinch, I could use one of these, if needed. 5. Assign buddies to show around room and play with at recess. Students love this! If I know a new student is coming soon, I will talk to my class and see if anyone would agree to be his/her buddy to share with them how our class is set up, help them at lunch, recess, etc. 6. Talk to your guidance counselor about setting up a tour of school. Our guidance counselor does this with our new students and I really like it. He takes them on a tour around the school (usually before they ever come to the classroom) and shows them where things are located in comparison to their classroom. If your guidance counselor doesn't do this, you could assign students in your room to. 7. Keep a New Student bag to give to the new child's parents/guardians. This is what my post is really about! Every year we send home packets of information at Open House and/or registration (depending upon which occurs first). 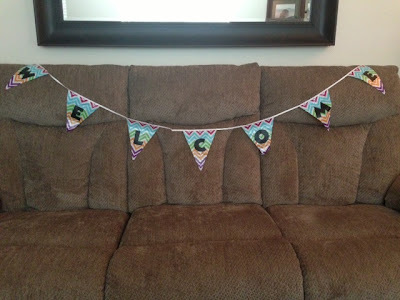 In the packet, parents will find: Welcome pamphlet, class party letter, class t-shirt letter, field trip letter, and a form for parents to fill out to let me know about their child. You can click here to read my original post about these packets. These are critical papers that I want all students to have, regardless of when they come to school. Anytime I make something with student names or send home an important letter, I try to put one in the New Student bag as well. Here is a glance at two bags I made this year with materials I had at home. 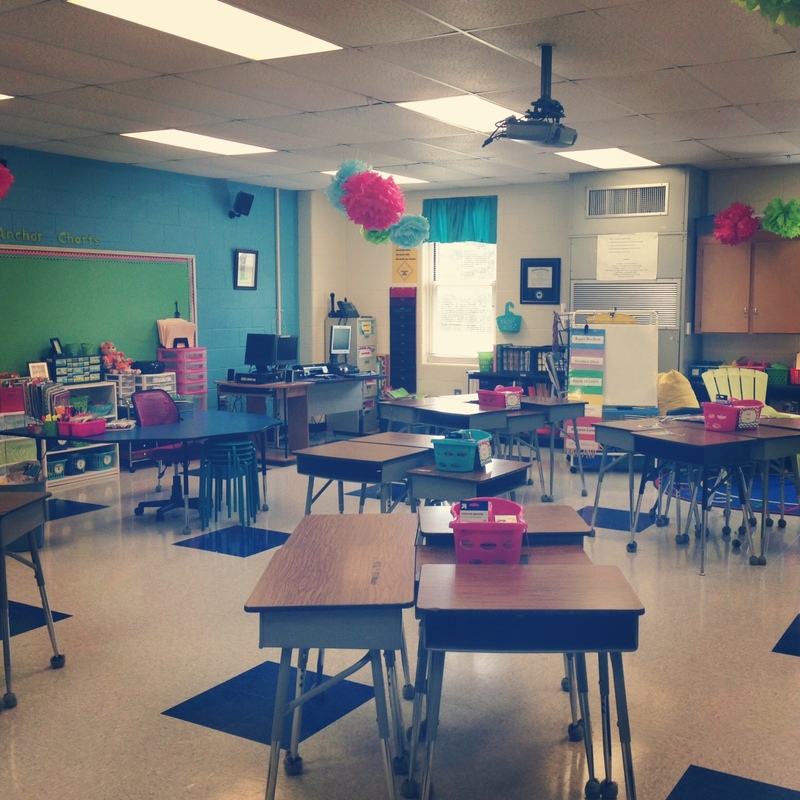 I still need to add a few things once I get in my classroom again. These bags have really been helpful when a new student arrives! I simply pull out information that the parents will need and send those home immediately and put student names on the rest. Today, I also want to link up with The Teacher's Chair for a fun linky! I am going to back up a bit to Tuesday's topic and discuss some of my favorite read alouds for the beginning of the year. Then, I'll show you some games my students enjoy! Have You Filled A Bucket Today? & How Full is Your Bucket? - These books are definite reads for the beginning of the year to teach about bucket filling! Black Lagoon series - These are cute and funny books to break the ice on the first day! 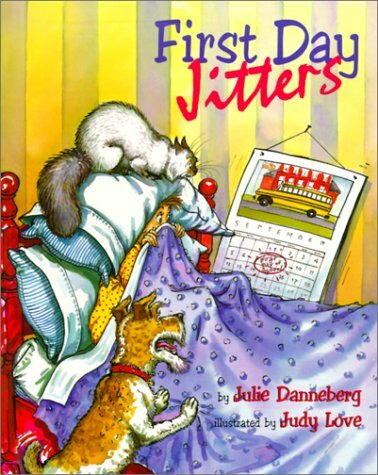 First Day Jitters - This is one of my favorite books to read on the first day! LOVE it! Tales of a 4th Grade Nothing - This was my first chapter read aloud when I taught 4th grade. My students always loved it! Nothing's Fair in 5th Grade - This will be my first chapter read aloud this year in 5th grade. I've never read it before as a class, but it was a quick, easy read when I read it myself. Humphrey series - Tara (4th Grade Frolics) introduced me to the Humphrey series and I LOVE them! 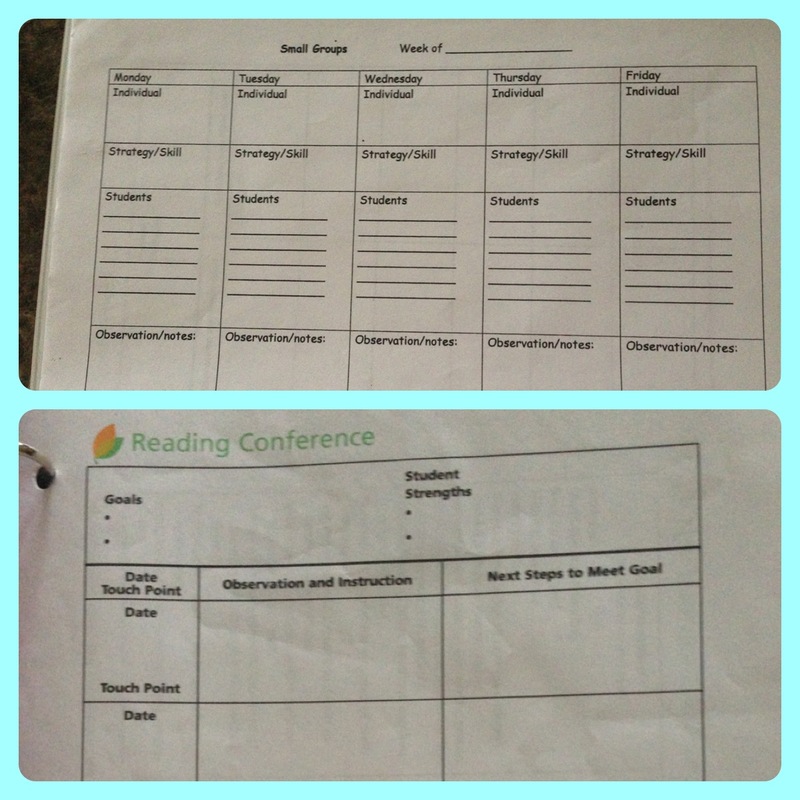 Sadly, since I am looping up with my class this year, we've already read them so I won't be using them this year. Last year I was able to purchase 4 games (2 are shown above). They are all Edupress, Learning Well games. My students really enjoyed them and they all targeted standards! It's a win-win! As I mentioned in my last blog post, I was without Internet for most of the weekend and finally got it back yesterday afternoon! Woohoo! 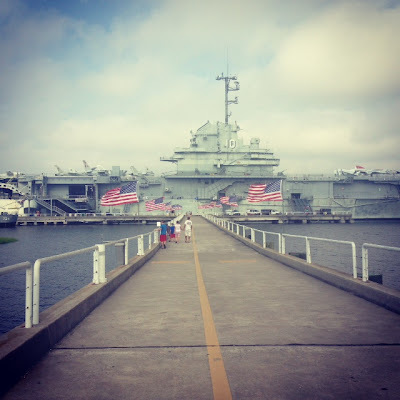 So, I wanted to do a little post about what I've been up to! It includes lots of shopping! 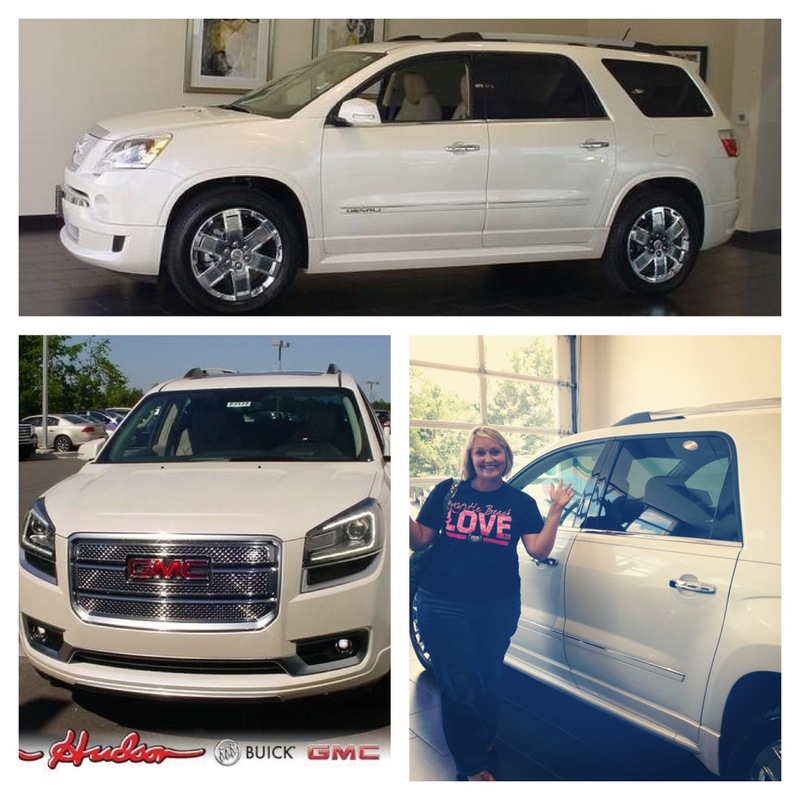 I've been CAR shopping! Y'all, I bought my DREAM car...an Acadia! I love, love, love it. I went on a field trip! Well, more like a pre-field trip. 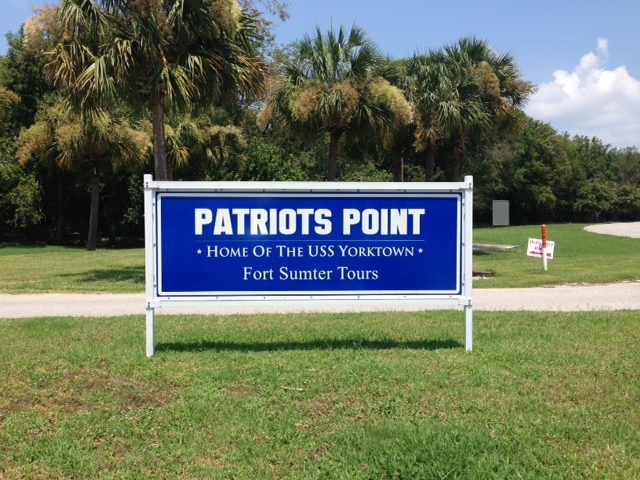 This year we will take our fifth graders to Patriots Point here in South Carolina to participate in a Science program, tour the USS Clamagore (submarine), and tour the USS Yorktown (aircraft carrier). 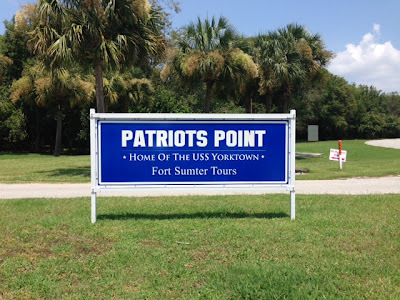 This will be our first field trip here so my new partner teacher and I decided to take a trip down to Patriot's Point to check it out, see where bathrooms are located, see how long it takes to tour, etc. Because I teach at a Title 1 school, we were able to apply for a scholarship for students to receive free admission. And we GOT IT! Yay! Now, students will only have to pay for the bus ride. Since it's about 3 hours away, we have a chartered bus. 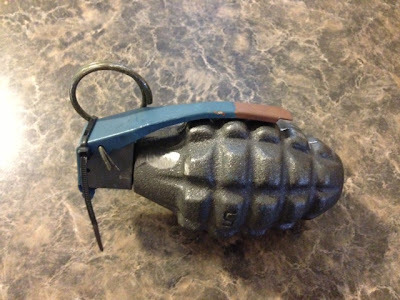 At the gift shop, I purchased this replica of a World War II grenade. How cool is this?! I figured I should keep it at home until I teach that unit and then get permission to bring it to school! 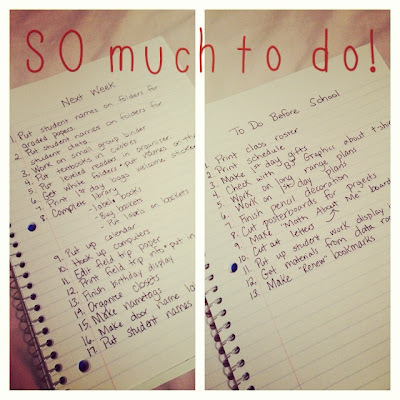 I've been making lots of to-do lists! Eeekkk! Quite stressful, but I have marked everything off on the left side. Woohoo! 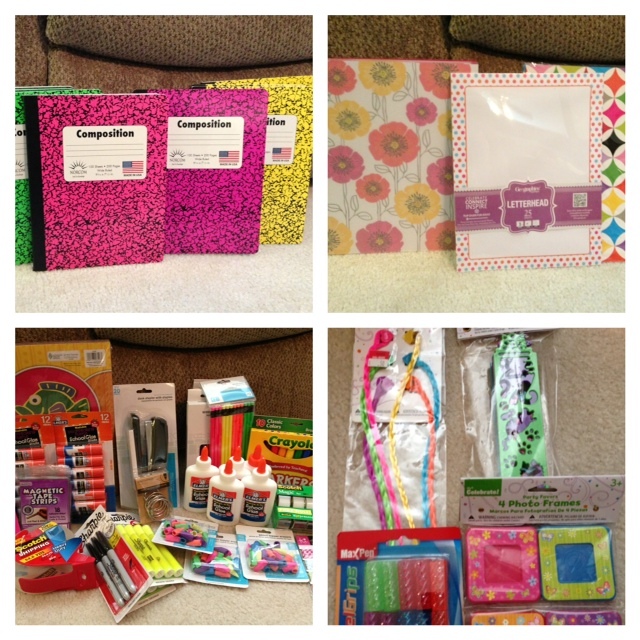 I've been school shopping! Does it ever end?! I purchased a class set of composition books. Our supply list asked students to purchase 3, but we really need 5 per student. Our school is purchasing one set and we are using our school money to purchase another set. I also picked up a planner, basic supplies, and some goodies for my birthday box. I'm jealous of all of you who have been to IKEA! 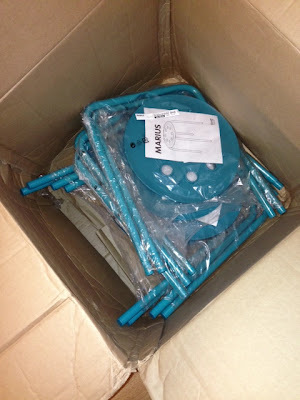 I don't have one anywhere near me, but I did order these Marius stools and LOVE them! Super easy to put together, too. 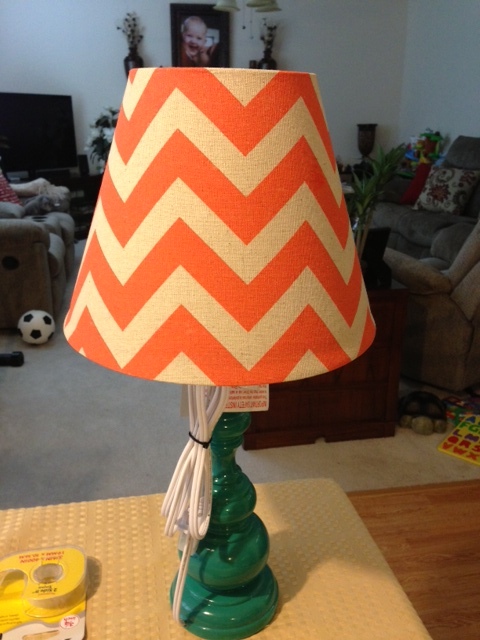 I bought this cute chevron lamp yesterday at the Dollar General! I love the chevron shade! They had really cute ones. I bought a burlap one for my house. I have been working nonstop in my classroom. 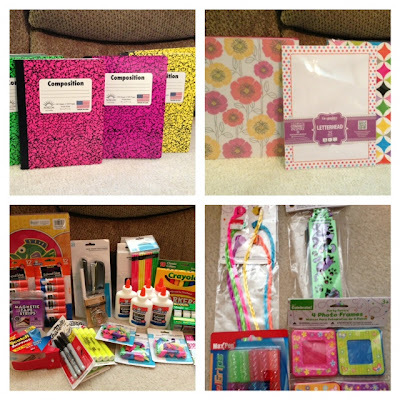 I packed up all of these goodies and headed to work in my classroom last week. I took this photo from Instagram because I accidentally deleted it from my phone. But, this shows a "before" picture and an "after" picture from Day 1. 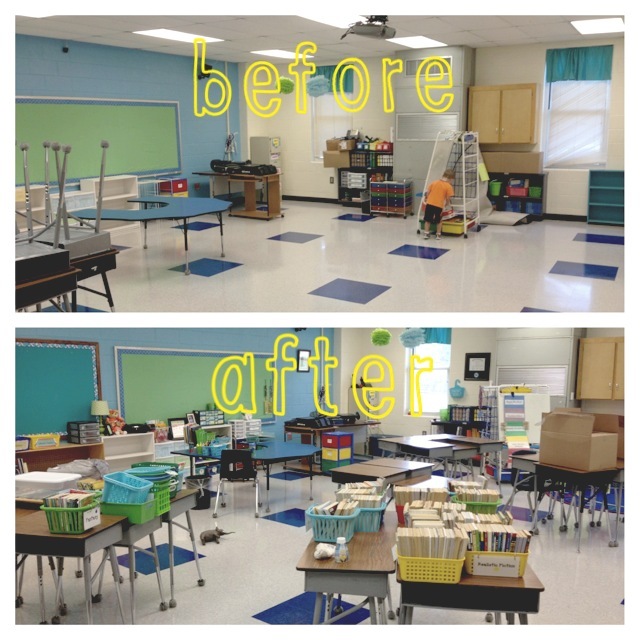 I'm not ready for a class reveal, but this is my room as of yesterday....almost done! Thankfully, I've been SUPER BUSY working in my classroom! I was able to finish today with being about 95% done! I don't plan to head back to school until we have to. My goal is to really dig into curriculum work this week and next week. 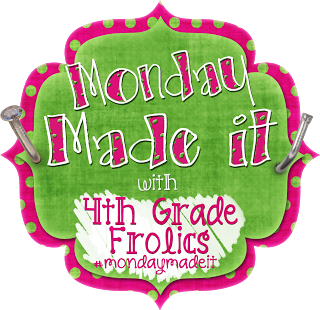 For now, it's time for Monday Made It with Tara at 4th Grade Frolics! 1st Day of 5th Grade frame - I *love* how it turned out! 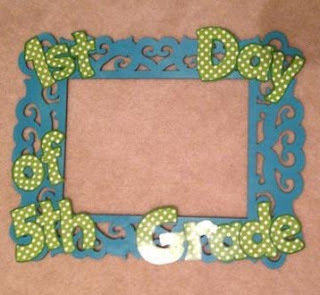 I plan to use the frame with my little one when he begins school and I can easily change 5th Grade to Pre-K next school year. I made labels that attach to the shower caddies I am using as table bins. I love the rainbow chevron! 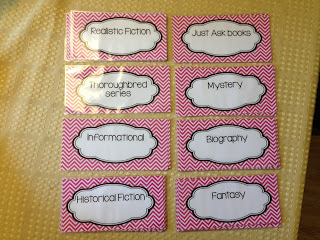 I made new labels for my classroom library! LOVE my new look and LOVE my classroom library! I have totally changed it. Stay tuned in the following weeks for pictures of my new and improved library. I left a space below the words to place the sticker that matches that genre. For example, realistic fiction has a yellow sticker. Mystery has a lime green sticker, etc. 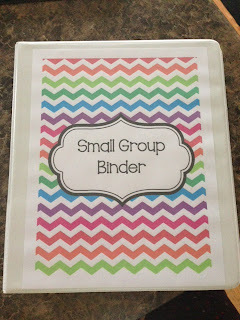 My last Monday Made It is my small group binder. Last year I had a tab in my teacher binder for small groups, but I felt like I needed more space. 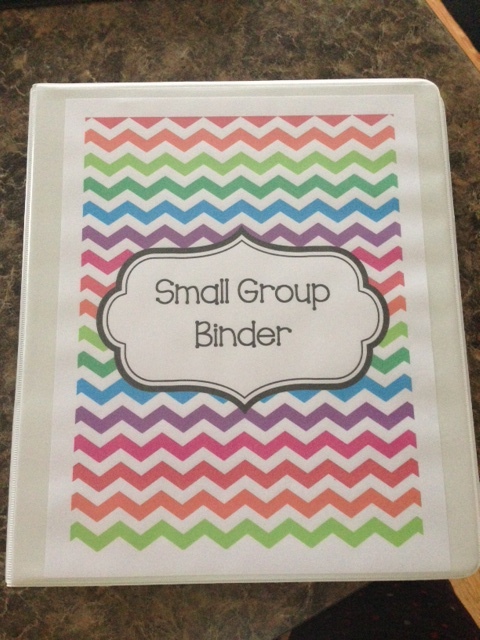 So, I created a binder just for my small groups. 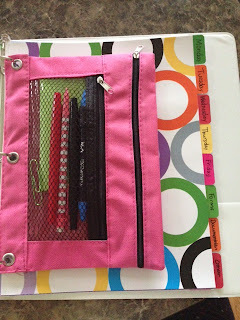 Inside you'll find: pencil pouch (filled with pens, pencils, and post-it's) and tabs. For now, it's pretty empty, but it will fill up soon enough. I have a tab for each day, one for forms, one for documentation, and one labeled other. I typically use the days of the week for the names of my small groups in Reading. It makes me easier to me to keep up with! 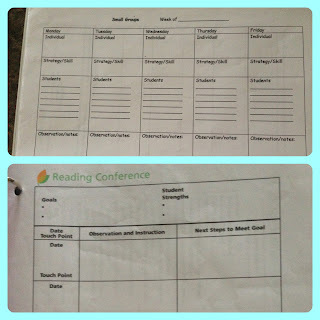 Some of the forms I have are my small group documentation form, CAFE Reading conference forms, and other forms that are related to conferencing documentation. We are required to turn in documentation on small groups each week. I prefer to write mine so that I can easily refer to it later, as I keep it in the "documentation" tab. This week I have done more pleasure reading (non-school reading) so I only have one book to share with you today for Fiction Friday! Too Much Glue is written by Jason Lefebvre and illustrated by Zac Retz. It is the story of a little boy named Matty who LOVES glue and always uses too much. Don't we ALL know little Matty's in our classrooms, who always use too much glue? I know I do! Summary: Although Matty’s art teacher has warned him that too much glue never dries, Matty loves glue. After all, he and his dad make oodles of glue projects at home. One day during art class, Matty finds the fullest bottles of glue, and the fun begins. With a squeeze and a plop, Matty pours a lake of glue before belly-flopping right in the middle and finds himself stuck to the desk. When Matty’s dad arrives at the school, instead of being mad, he celebrates his son’s creativity and calls him a work of art. With vibrant language and artwork and a wild, silly plot, Too Much Glue is sure to appeal to all children who love to get messy. 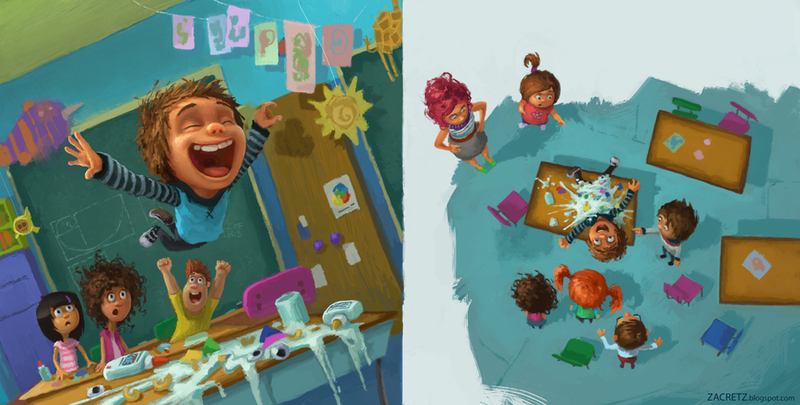 My favorite line in the story is when Matty's art teacher tells him "Glue raindrops, not puddles!" Isn't that great?! I know I will use that saying in the future! 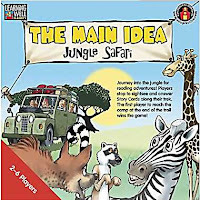 :) This book is geared towards younger children. My 3 year old enjoyed reading it with me. I do think older children would enjoy it as well, though. There are several examples of onomatopoeia in the text that upper elementary teachers could use for examples. Overall, Too Much Glue is a cute story! I think my 5th graders will enjoy it and it will be a great addition to my library! 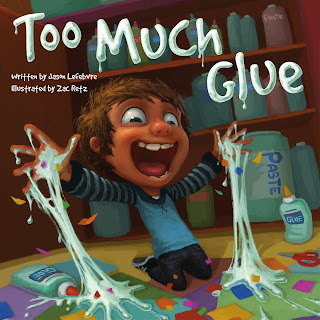 The publication date for Too Much Glue is set for September 1, 2013. It is available at Amazon for pre-order and at Barnes and Noble. When researching it, I actually found the illustrator's blog. You can find it here if you are interested. 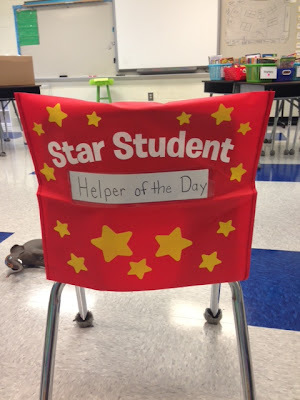 There are many ways to incorporate classroom jobs/helpers. My first two years I made a chart with classroom jobs and descriptions. I had student names on clothespins and would just move them down each day. It worked okay, but as more students enrolled, some jobs became 2-day jobs since there wasn't enough for each student. Another year I did something similar except with names on cardstock paper and Velcro, but that didn't work well. I had a hard time managing classroom jobs. Some kids did them, some kids didn't. So I decided that I would SIMPLIFY the process and I truly love how I do it now. I no longer have "classroom jobs", but I have student HELPERS instead. I have 2 helpers per day: one boy and one girl. These helpers help me with anything and everything that day from passing papers out, running errands to the office, being bathroom monitors, etc. I used name-tags to write students names on them and have two stacks: boys and girls. I hole punched two holes at the top and used string to tie them together. Then, I used Command Hooks to display them. At the end of the day, we just flip the name-tag to the next person. Easy peasy! Here is a look at how I display it. I'm sorry for this terrible photo...it's all I could find of it on my computer! I am continuing my helper system this year, with the addition of one thing: Star Student chair covers. I bought these last year for $1.00 at Target. I didn't use them last year, but I think this year I'll place them on the chairs of the helpers for that day. At the end of the day, we'll just move them to the next day's helper! 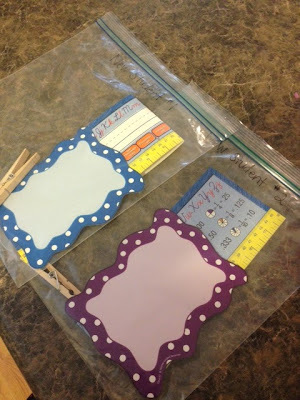 I know many teachers LOVE classroom jobs and I may try it again, but sometimes it's best to simplify things and this has worked so well for me! This morning I went to my classroom for the first time this summer. Although I have a LOT more to do, I did make some good progress! With my three year old with me, it went a little something like this: work on classroom, help clean up E's mess, work on classroom, have a snack, work on classroom, take E to potty, work on classroom, help clean up E's mess, etc. Repeat, repeat. Can anyone else relate?!?! Haha! Love that little boy! Here is my before and after shot of today! It's Monday Made It time again! 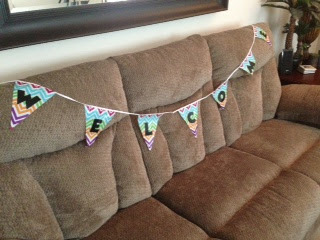 I am loving all of my creations today because they all have one thing in common: rainbow chevron! 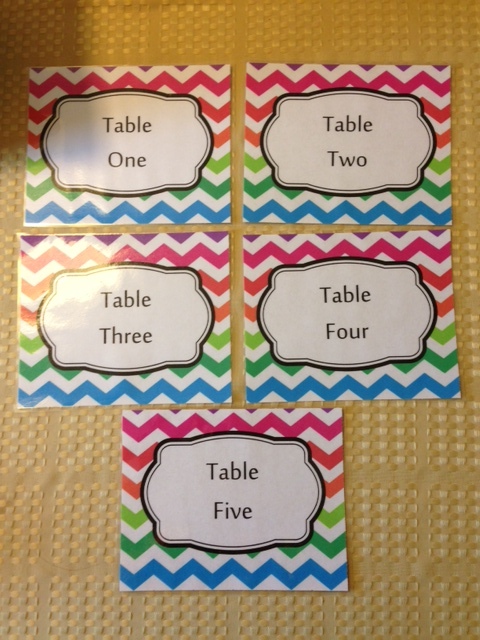 I was inspired by Clutter Free Classroom to create labels for my recycling bins. We began a school-wide recycling program a few years ago and each classroom has two bins: one for paper and one for plastic. I love my new labels! 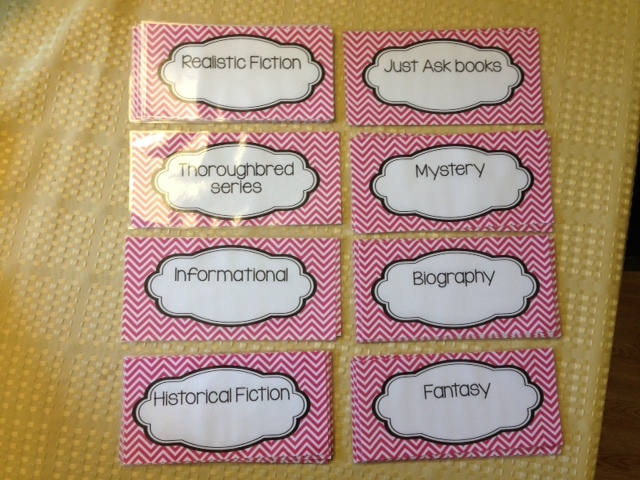 I was also inspired (Clutter Free Classroom & Pinterest) to create crates for Writing portfolio's and library books. I've never had the best system for students to return library books. I've had students keep them and return them when we go to library. I've had student turn them into a tote in the mornings, but the tote was too heavy and not easy to carry. Here are my Writing Portfolio and Library Book crates! The crates were $3.00 at Big Lots. When I saw Owl in a Vowel Tree post this chevron border on Instagram, I knew I had to get it. 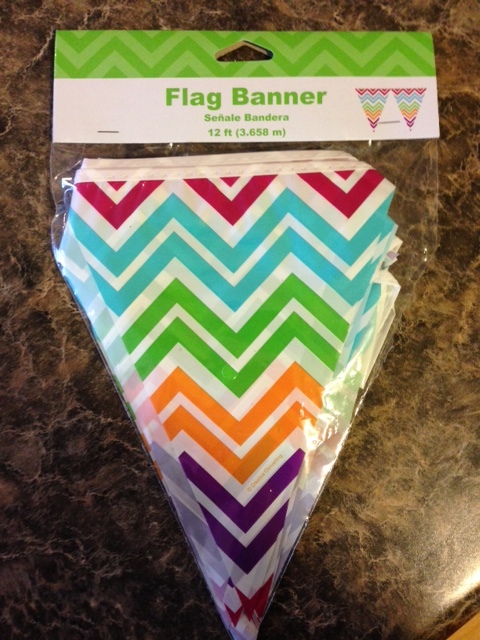 It's $0.97 at Wal-Mart...super cheap and super cute! There are 11 pennants on each banner. 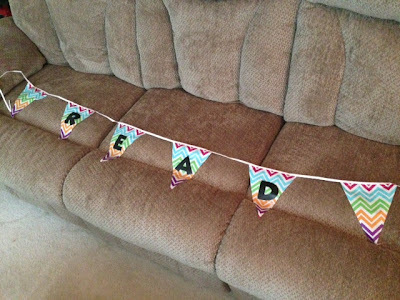 I cut several off and made this READ banner to put in my classroom library. 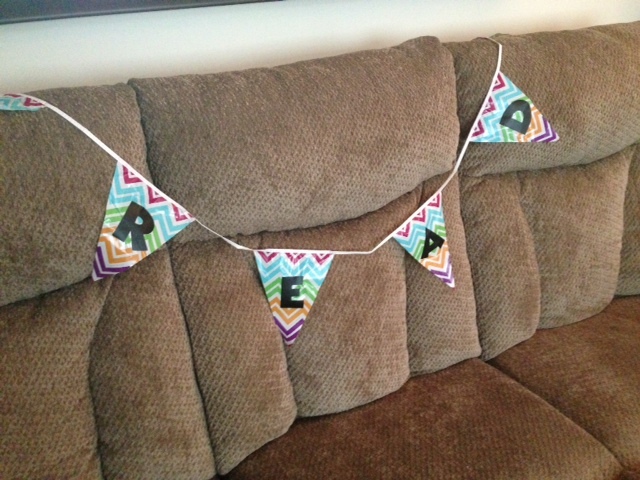 I left one blank pennant on each side. She also inspired me to create a Welcome banner for Open House/first day of school. I love how it turned out! Hey friends! I hope you have all had a great weekend! We are finally back in town and are here to stay for a while (we've been traveling so much lately). It's been really nice to just lounge around my house! 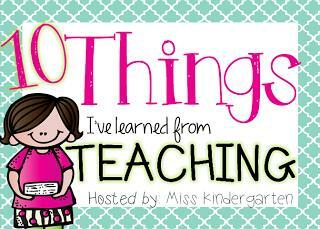 Miss Kindergarten is having a fun linky called 10 Things I've Learned from Teaching. I thought I would join in on the fun! 1. Teaching is exhausting, especially the first week. I am always SO tired the first week of school and it usually takes me a couple of weeks to get back in the groove. 2. No matter how many years I've been teaching, I still get a little nervous (in an "excited and can't wait to see how it goes" way) every first day of school. I always read the book First Day Jitters and we talk about how we all get the jitters sometimes! I do wonder if I will get this feeling this year since I am looping up with my class. 3. Make friends with certain people in your school, such as: janitors, lunch staff, and secretary. They will each serve an important role in your school and you will need their help at one time or another. 4. It doesn't matter how hot or cold it is, children still want outside recess. Well, I'd say this is true for 95% of children. We have a rule: Temperature must be above 45 degrees and less than 95 degrees. Under 45 is too cold and over 95 is too hot and our playground equipment is too hot to even touch! 5. Keep your eyes open for bargains anywhere and everywhere: work room, yard sales/garage sales, free giveaways, Goodwill, etc. I've bought many books at yard sales. 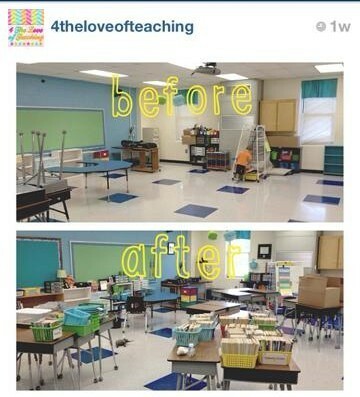 Lots of teachers clean out their room and put unwanted materials in our teacher work room. Also, check Goodwill every now and then. I've gotten lots of books at Goodwill. Last year I snagged this computer desk for $10 at Goodwill. I was searching for one and had been to office supply stores and thought I'd stop at Goodwill just in case and voila! 6. Collaboration is KEY! When I first started teaching at my school, I learned that team teachers must plan together (2 teachers per grade level). I wasn't sure what to think about that simply because I hadn't experienced it before. Since working with some amazing teachers and collaborating and planning TOGETHER, I have became such a better teacher. Blogs are a great way to collaborate, but it is important to collaborate with your team teachers. Hang with those that WANT to collaborate and share ideas! I know it's difficult when you teach with someone who isn't willing to collaborate. Just do the best YOU can to collaborate. 7. 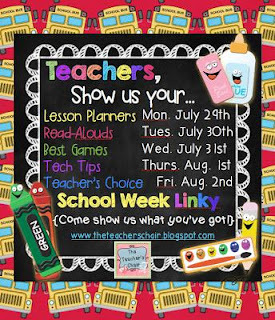 Let your students get to know you personally (to an extent, of course)! It's important for them to know you are more than their teacher. My students have loved when I share my interests with them, pictures of my family, etc. I usually do this during the beginning of the year. They always ask about my son and other family during the year, though! 8. Attending your students extra-curricular activities will make you a hero in their eyes. They love when you come see them play baseball, basketball, dance, or whatever it may be. And I am the worst at this. :( Living 40 minutes away from my school makes this hard when I have to drive home to get my son from daycare and then drive back to school...it's hard. But it makes such a difference to your students! 9. Kids love to tell personal stories and most of the time, at all the wrong time! During Math, they may think about the kitten that their dog ate or the time their uncle got his leg bit off by a crazed racoon or some crazy story like that. Haha! I try to give my students time to share personal stories, such as on Monday mornings when they can share about their weekend. If it's during class, I usually ask "Is it a question or comment?" and that keeps the personal stories down. Today I want to share a picture book for my Fiction Friday post. 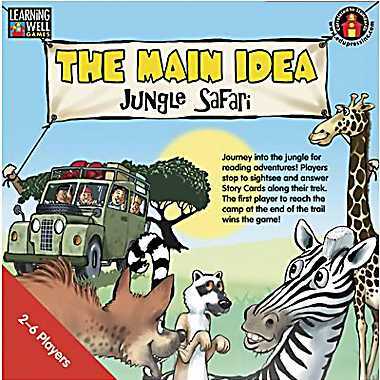 I bought this book for my son, but I can easily see how I might use it in the classroom. 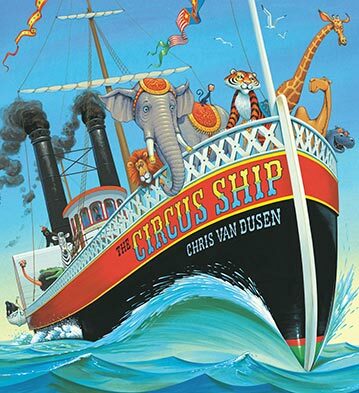 The book I chose is "The Circus Ship" by Chris Van Dusen. Here is a description of the book taken from Chris Van Dusen's website. 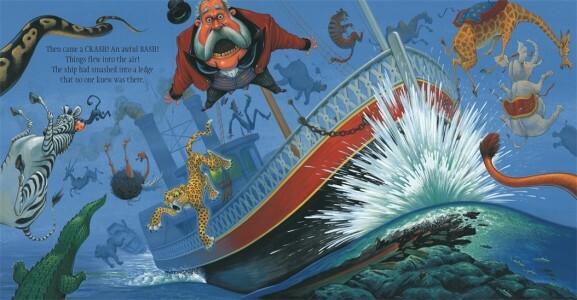 When a circus ship runs aground off the coast of Maine, the circus animals must stagger to the shore of a small island. At first the townspeople view them with suspicion, but it’s not long before locals and animals are sharing the island in harmony. Loosely based on a true historic event, The Circus Ship is a story about the bonds of friendship and community. One of my favorite things about this book is the illustrations! Take a peek at the page where the ship crashes and the animals and people fall out into the ocean. 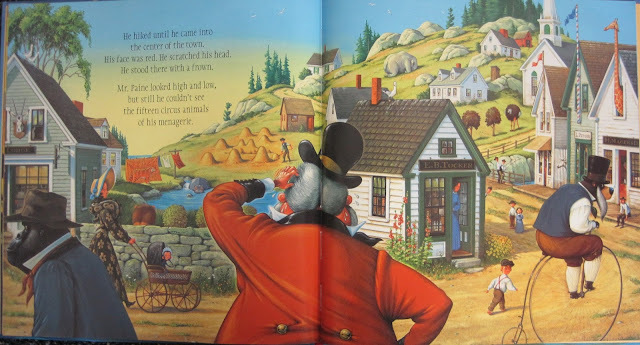 My favorite page is when Mr. Paine, the circus owner, comes back to find his animals. The animals are beautifully camouflaged into a town scene. Some are obvious, but some took me several reads to find them. Do you spy any animals? This book was inspired by the absolutely unbelievable wreck of The Royal Tar which sank off the coast of Maine. I added an Author’s Note at the back of the book which tells the true story of the 1836 tragedy. I debated this book as part of Fiction Friday. Since it was inspired by a real event, I thought it would still work because what happens in the story is fiction. Vocabulary - There are lots of examples of vivid vocabulary that students may not have heard of before, especially younger ones (bedraggled, daft, etc). 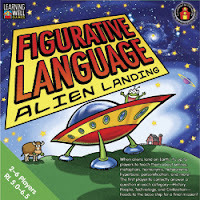 Figurative Language - There are several examples of alliteration, similes, and onomatopoeia. Character comparisons - Students could compare the circus owner, Mr. Paine, and the ship's captain, Mr. Carrington. They could use the text to provide evidence that backs up their view of the character. I want to share two exciting things coming up!! 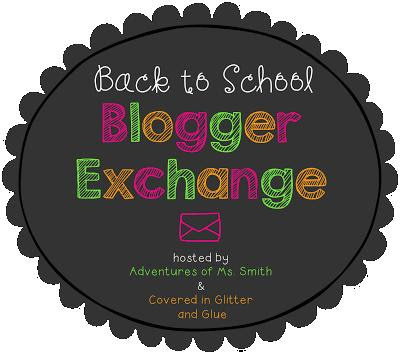 First is a Back to School Blogger Exchange! This is hosted by Adventures of Ms. Smith and Covered in Glitter and Glue. I think this will be SO much fun! Hurry and sign up if you are interested....the deadline to sign up is July 21st. Another fun event is a Carolina Bloggers meet up in Greenville! You can click here if you are interested to fill out a survey about it. It looks like you can spend the night on Friday and enjoy dinner and a night out AND a Saturday lunch/shopping or you can just go Saturday. I haven't decided which one I'll do, but I am super excited either way! Any readers plan on going? !